Updates : Fascinating May! 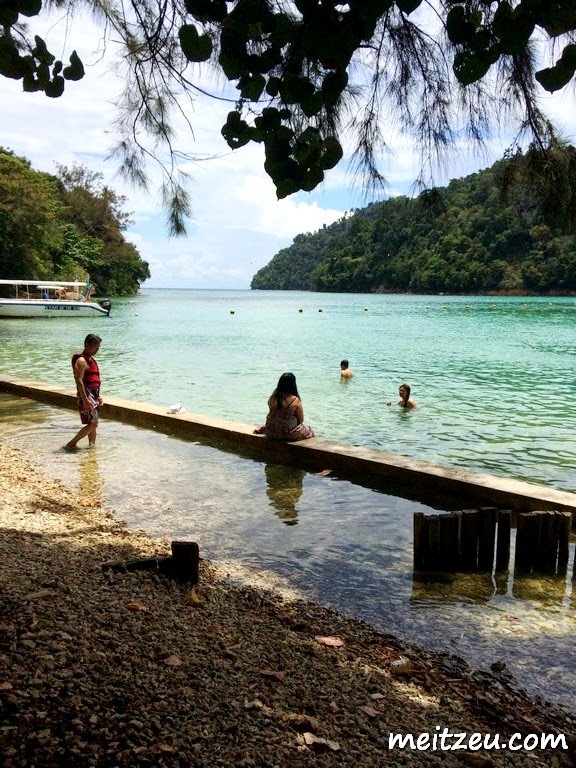 I'M LOVING IT, #SABAH!! So I gonna make this short and interesting! There were exactly 14 of us (12 bloggers and 3 friends) and yet so long since the last gathering with the awesome Sabahan Bloggers! 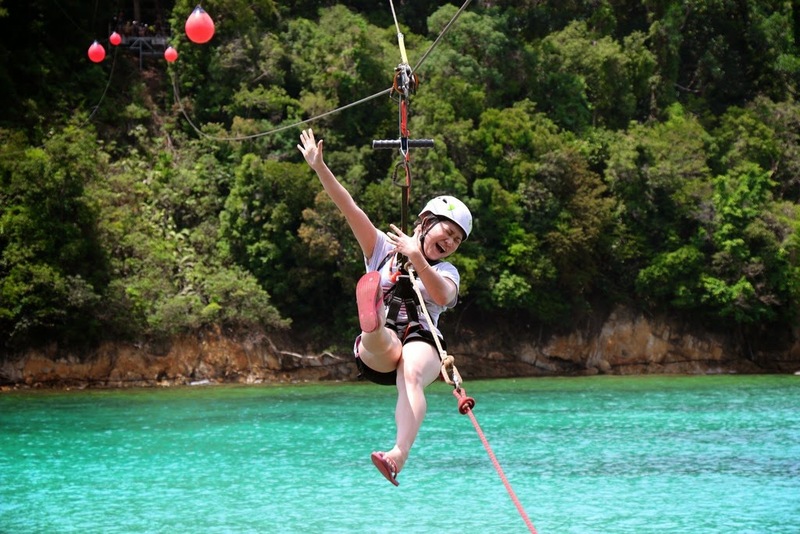 We got sponsored by Coral Flyer Island to Island to experience the world's longest island to island zipline. And hah! The monopod I bought is ONE OF THE USEFUL TOOL for photography! Me LOVE! Love this shot that I took! :) Simply what we could see here. I'm thinking of trying the paragliding and maybe hot air balloon too, before its too late!!! Being supportive and supporting Kendy idea to promote Sabah month! Check out Kendy's blog for more information! 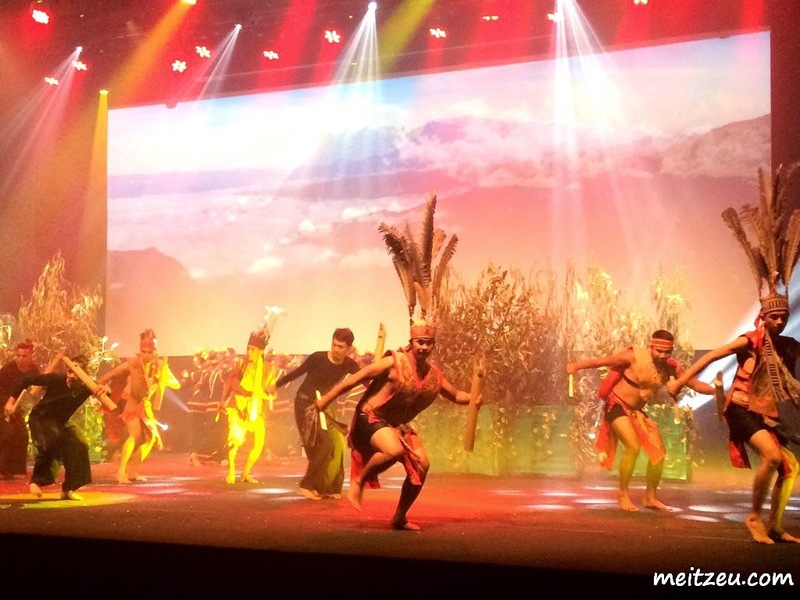 Appreciate the effort of Sabah Tourism to make this happen. 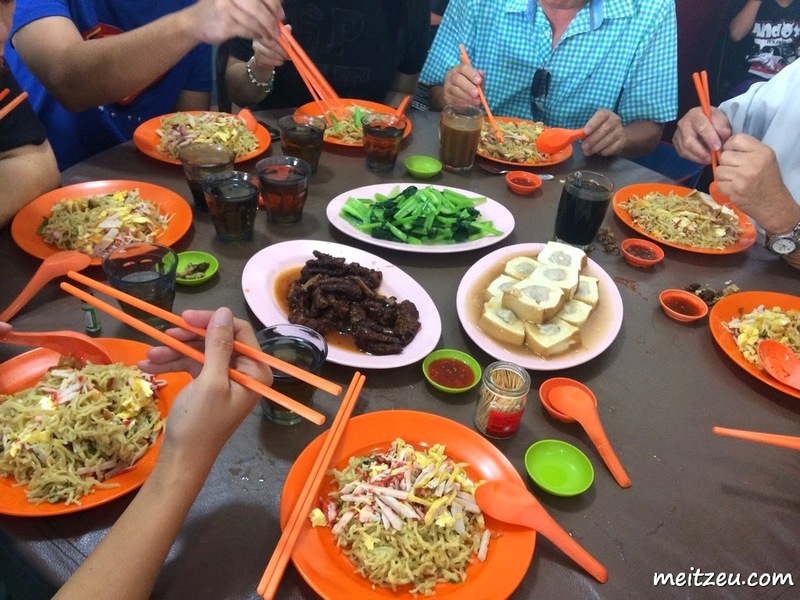 It was Labour Day and Dad drove us all the way to Tamparuli from KK to have a plate of authentic Tamparuli Noodles! 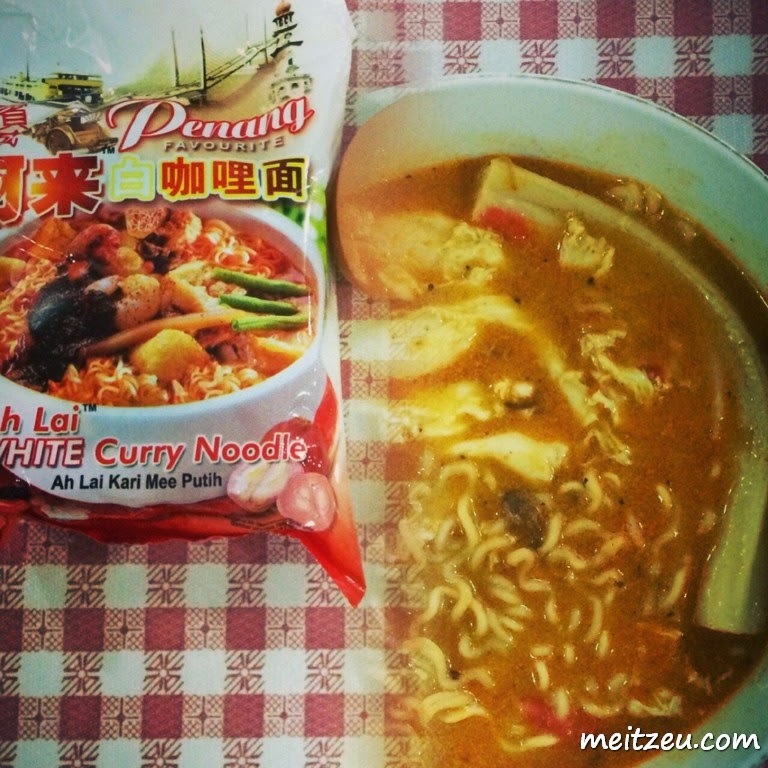 It's the trend to eat WHITE CURRY MEE! I tried both and both have their own special taste. Generous spices by MY KUALI which made the whole bowl of noodles spicy with the red oil! While AH LAI in the other hand, fairly white with the creamer after cook. And overall, it just depends which one we favour the most, seems like both are nice and Ah Lai's taste just nice, not overly spiced after finishing the whole bowl! That's all for my updates! :) Cheers! 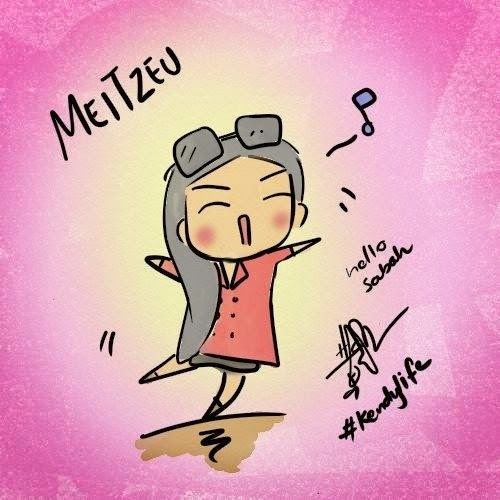 BTW, do follow me at my FACEBOOK PAGE for more updates too! Siok! So happening in KK. 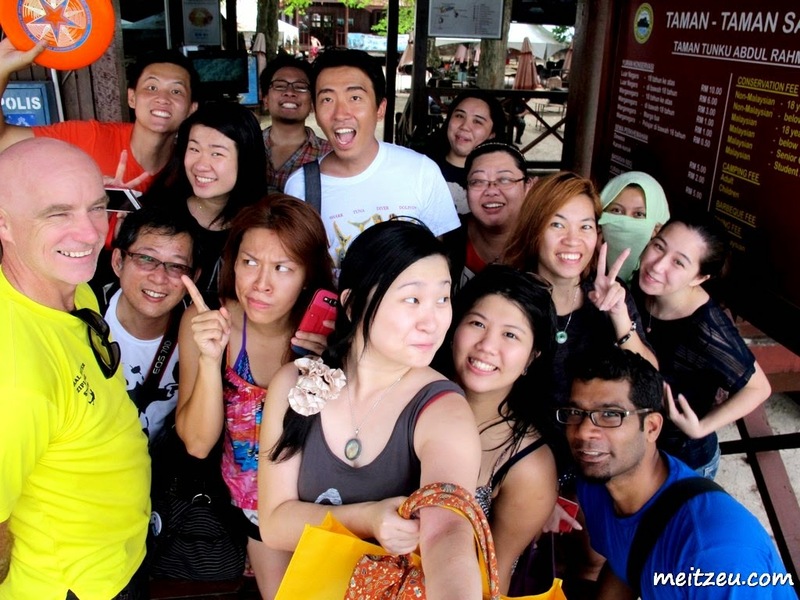 Seems like bloggers in KK have so much fun haha.